Greens must think Tennessee Environmentalist are a bunch of backward hicks who haven't got the word that dams are cool. Back during the 1960's and 70's things were different, and Tennessee environmentalist thought they were on bord. TVA finally admitted that the cost of daming the Obed would be far more than the benefits. The Obed River is a beautiful white water river that flows through breathtaking gorges and bluffs of the Cumberland Plateau of Tennessee. White water lovers throught out the Southeast and beyond flick to the Obed River and its tributary Daddy's Creek every spring to challenge their rapids. 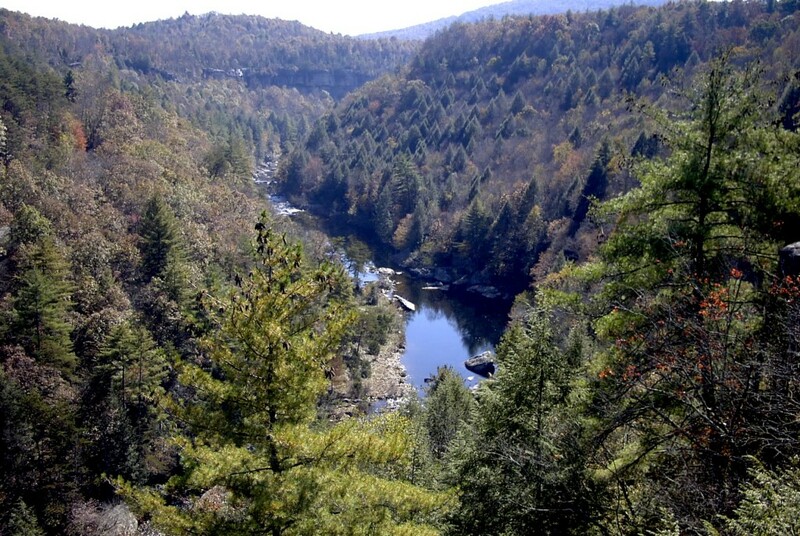 Some know of the fight to preserve the Obed from a TVA dam in the 1960's and 70's, others do not. There were other East Tennessee fights againts TVA dams. Dr. David A. Etnier of the University of Tennessee, fought sucessfully to save the tiny Snail Darter from an extinction that would have happened if a TVA dam on the Little Tennessee River had been built. Now the new green party line is that East Tennesseans who fought to save the last remaing wild, undamed rivers of East Tennessee from impoundment, were really bad people who were serving the interst of nuclear power by preventing the extention of "green" hydroelectric power. The new green dogma is that avery river, creek and trickle in the Unired States should be damed, and its impounded waters used to drive hydro-turbines. Forget about natural beauty, forget about recreational uses, forget the wildlife habitat, and forget about cost-benefits analysis. Forget if the dam ever actually will produce much electricity. Just do it. Just dam those things. Typical. I wonder if those dingbat realize that rotting vegetation in the reservoirs are a major source of greenhouse gases. At any rate the big problem with hydro is that the low hanging fruit has already been picked. Major projects, like damming the rivers running into the Arctic Ocean, are so expensive that nuclear become a cheaper option. Well, it's not like TVA is going to build more dams- not after Tellico. They're going to do the right thing and complete Watts Bar 2. So I'm not too worried.